Hey guys! I am so excited to kick this series off. We have all heard or seen the horrible videos about animals, the way they are treated, and whether we can get the proper nutrition without consuming them. All of the videos in this series have so much information and tips, some of them are realistic some of them are not. My goal of this series of posts is to sort through all of these documentaries and provide a summary of them. 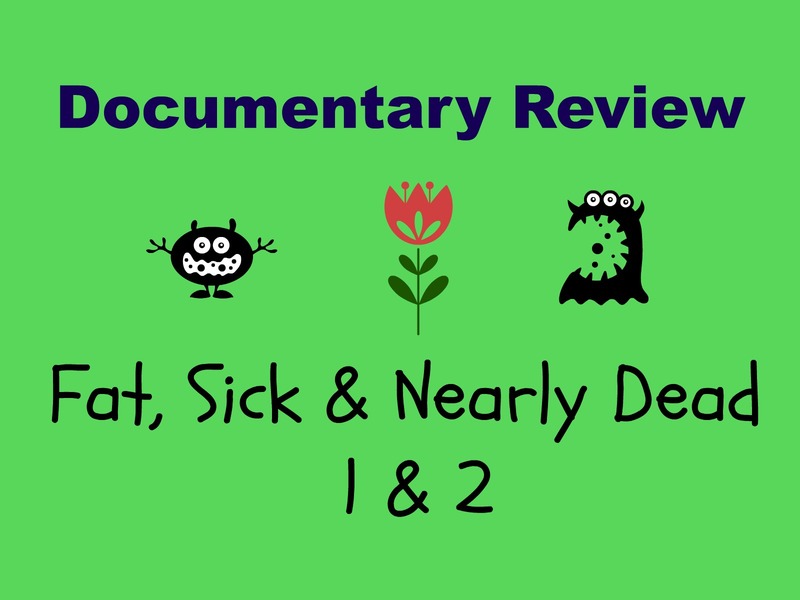 Today I am going to review "Fat, Sick & Nearly Dead 1 & 2". I decided to put these two documentaries in the same video because they go hand in hand. The first documentary is where the wealth of knowledge is, while the second one is more of like update. I would like to begin with a trailer and a short description from the film's website. "100 pounds overweight, loaded up on steroids and suffering from a debilitating autoimmune disease, Joe Cross is at the end of his rope and the end of his hope. In the mirror he saw a 310lb man whose gut was bigger than a beach ball and a path laid out before him that wouldn't end well— with one foot already in the grave, the other wasn't far behind. 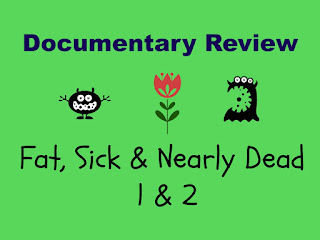 FAT, SICK & NEARLY DEAD is an inspiring film that chronicles Joe's personal mission to regain his health." The thing that surprised me the most about this documentary is that people are willfully ignorant about their health. Over half of this documentary is made up of interviews with everyday people. Most of those people knew that the choices they were making were bad choices for their body and health. They knew that they are essentially killing themselves, but they laughed about it! I can not even wrap my mind around it, it is so crazy how we have become so complacent with being unhealthy. Most people really struggle with doing a juice fast for more than 3 days. Once you get over the 3-day hump it will become much easier. You do not necessarily go to the gym to lose weight. 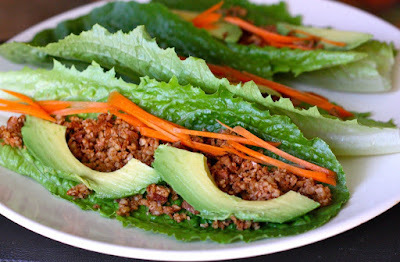 Simply changing your diet will improve your health by leaps and bounds. A change in diet can have so much more of a result than pills in treating and preventing diseases. Many health problems can be reversed with dietary changes. The key is to make sustainable changes in your diet and lifestyle. Juice cleansing can be a useful tool to reset your taste palette. Make sure to consult a doctor if you have any medical conditions before going on a juice cleanse or any other diet or cleanse. In 60 days Joe Cross managed to shed 90 pounds, alleviate the effects of an autoimmune disease, and completely reset his diet. Joe points out that eating this type of diet can be affordable if you shop at local stores and farmers markets. This documentary truly shows that if you are willing to make the change and push yourself anything is possible! As, promised I did fact check all of the facts given in this documentary. The final verdict is that this film is extremely fact based. There are a number of doctors and healthcare professionals featured. There are even fun animations showing you what these good and bad choices do to the inside of your body. Overall, the I think that this documentary is pointing out that if you really wanted to change your health you could. I highly recommend this documentary if you are wanting to learn more about juicing or doing a juice cleanse. This would even be a great watch if you are looking to learn more about the benefits of eating a raw plant-based diet.